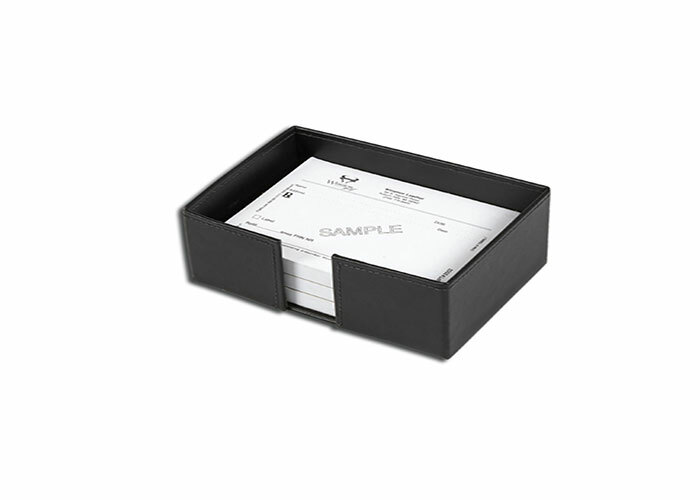 Hand folded and assembled note pad holder. Your choice of materials. Perfect for oversized sticky notes or other paper pads. Plenty of space to proudly display your logo or law office firm name. Standard colors are black, navy, forest green, burgundy. Other sizes available. Hundreds of optional colors and leathers available. 6-1/4 x 4-1/2 x 2-1/4" Max 2 x 6" back side. 2 x 2" front side.